Our offered Liquor Glass Bottle is created with creative strategies to design audacious and innovative products and designs. Moreover, these are the anti-thermal, shock resistant, anti-impact, strong and durable. At most reasonable rates, we are providing Liquor Glass Bottle to our patrons. 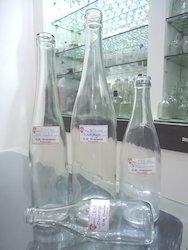 In order to meet excellent quality standards, we are supplying Liquor Glass Bottles. Available with us is a compendious assortment of Liquor Glass Bottle 02. Our quality controllers test these liquor bottles on every stage of product development and ensure that these are in compliance with international market standards. Moreover, we pack these liquor bottles in fine quality packaging material in order to protect them from any kind of damage during delivery. We are prominent manufacturer, supplier, wholesaler and exporter of Beer_Glass Bottles. We are offering the wide range of Glass Bottles available in all shapes & sizes & color i.e 330 ml, 500 ml, 650 ml etc. All our products have gained immense popularity. We bring forth an extensive range of Liquor Glass Bottles that are known for their enticing appearances and excellent toughness. These products are highly demanded among the leading processors of wines, beers, rum and other liquors. Our entire product line is manufactured under the strict guidance of quality specialists so as to offer the clients with defect-free range. Wine Glass Bottle and Milk bottles.As a prominent company, we are engaged in offering a wide range of Wine Glass Bottle to our valuable clients. 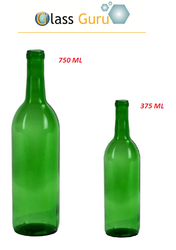 These Wine Glass Bottles are broadly used in many of industries for meeting storage needs. Offered products are made by our adroit professionals using quality more..
Banking on our enriched industry experience, we are able to supply 180 ml Liquor Glass Bottles. The Wine Bottle provided by us is tight and leakage proof. It is available in various shape and size. With enriched market experience, we have been able to offer a wide spectrum of Claret Wine Glass Bottle. We offer Swing Top Glass Wine Bottle. - Price may vary between Rs.100-150 depanding on size of the bottle. premium range of whisky glass bottle capacity of 189 ml, 375 ml, 750 ml , we have full range of liquor glass bottle and all type coating, printing, frosting available.